Welcome to the final Adam Versus Steam Greenlight of 2013. Damn, where did the year go? As there seemed to be some confusion on that last point in Volume 6 of AvSG, let me reiterate that these are not reviews. The point of this post is to look at a game’s promotional material, and see if it evokes a “shut up and take my money” reaction. Hopefully, that clears things up for anybody who might think that I am attempting to review a game based on trailers and descriptive copy. Now that we’ve covered the basics, let’s bring on our first contender. Earth: Year 2066 (codename Project: Earth) is a first person sci-fi apocalyptic open-world RPG game inspired by such video games as Fallout and Half-Life 2. You play as a survivor of a nuclear war between USA and China. You became a half zombie because of radiation. You need to get to the safe place, called “GOD’S HOUSE” to survive. Dangerous journey is waiting for you. At the time of this post, there is no trailer for Earth: Year 2066. I’ve included the game play footage that the developer has offered to date. First question, what engine is this game using? Is this the Source engine? I ask because I want to know how impressed I should be by these visuals. If DQS built their own engine for this game, then what’s offered here rates as considerably more impressive than if they’ve layered Fallout-ish textures on an existing engine. What is absolutely unforgivable is the pew-pew rifle’s sound effects. As I could barely handle that racket for the length of a tech demo, I can’t imagine enduring it over the course of a game. It reminds me of the gun effects from the terrible video game adaptation of TekWar. Considering Earth: Year 2066’s inspirations, I’m feeling like the presentation is falling short of making me care about this game. If the current build is not yet in a state where it can show off character models, combat, crafting, and the like, then the descriptive copy needs to do more than talk about half zombification from radiation (what is the this, the Marvel universe?) and give me an all-caps destination. Ultimately, there’s nothing here to tell me why I should play this game instead of New Vegas. Thumbs down. However, I’d be willing to take another look at it once the development, and marketing, get a little more robust. 1. Beautiful and unique painted visuals. 2. High level of difficulty. 3. A plot full of surprises. 4. 90’s Gameplay with the addition of hidden objects. “Hi haters and true indie gamers?” Really? That’s the binary? I understand the desire to create an inclusive tone, but I question if that was the wisest way to go about it. It invokes a little too much of George W. Bush’s overly simplistic “You’re either with America or you’re with the terrorists” dialogue for my taste. Leaving that alone for a minute, the trailer for 1heart is impressive. There’s a nice balance between creepy and captivating in the art, and it hints at just enough of the story to make me want to know more. As was the case in the last game, the descriptive text isn’t doing its job of telling me why this game will be unique. Since this isn’t the first point-and-click adventure game I’ve seen on Greenlight, 1heart should oblige its potential audience with more than the usual boiler plate of game marketing. While I wouldn’t recommend other developers look to 1heart’s Greenlight page as a model for drawing a crowd, it piqued my curiosity. I’ll give it a conditional “thumbs up” knowing that I would wait for a steam sale before buying my copy. Astral Terra is an Indie, fantasy-themed sandbox RPG in a beautiful smooth voxel world that’s generated on the fly and completely editable. No two players will have the same experience as everything from the skills you learn to the world you play in is fully unique and customizable. Gather resources for crafting and building, journey among the planes to find lost temples or libraries full of knowledge and power (scrolls and tomes) or just explore for the sake of discovery. From character progression with experience points, level and skills, to the terrain and environments, every inch of the game is procedural and editable. Shape your world and your character the way that YOU want. Fantastic creatures and epic adventures await you in this magical journey in a world limited only by your imagination – Astral Terra! Astral Terra is a small fantasy sandbox with RPG elements. This is a tough one. The description hints at a final product that sounds really cool. Who wouldn’t want a procedurally generated Skyrim – assuming it cut out all the boring BS of Skyrim and made a game more like Morrowind. If only Astral Terra’s trailer presented a game that looked half as fun as it promises on paper. All I saw there was running and terra-forming, and then running some more. Also, there was a monster running into a wall while the player character ran in the opposite direction. Then, there was some building of houses and castles. None of those things really grabbed my attention, especially in light of all the competition among procedurally generated sandbox games. Certainly Astral Terra lives up to its claim of being beautiful, but I’m not seeing anything that would keep me playing this game for the long haul. Personally, if I want to build things in a procedurally generated world, I’ll play Minecraft. If I’m feeling destructive under similar circumstances, I’ll fire up Guncraft. Thumbs down, for now. However, if ever there was a game I wanted to prove me wrong, it is Astral Terra. And that, ladies and gentlemen, is that. One out of three, not the worst AvSG, but not the best either. Make sure to come back on Friday for my “Best of 2013” post, or possibly podcast if I can work a few things out. Regarding Earth: Year 2066, it is using the Unity Engine. It is made entirely with free assets and is by Killing Day Studios. 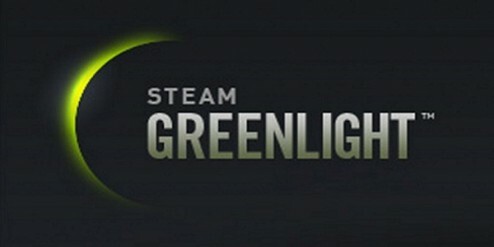 The developer appears to be a scam artist and is removing valid criticism from the Steam forum. The developer is also editing critical posts to make them positive. That’s disappointing, but not surprising given some of the things that go on with steam greenlight. Thanks for the heads up.